Now with iPhone 6 and iPhone 6 Plus and iPad Support! OVER 400 Designs for Top and Bottom parts of the LockScreen! Featured on VINE and INSTAGRAM!! OVER 1.5 MILLION DOWNLOADS!!! Reached TOP 3 in US Free iPhone Ranking and TOP 1 in US Free Entertainment iPhone Ranking! 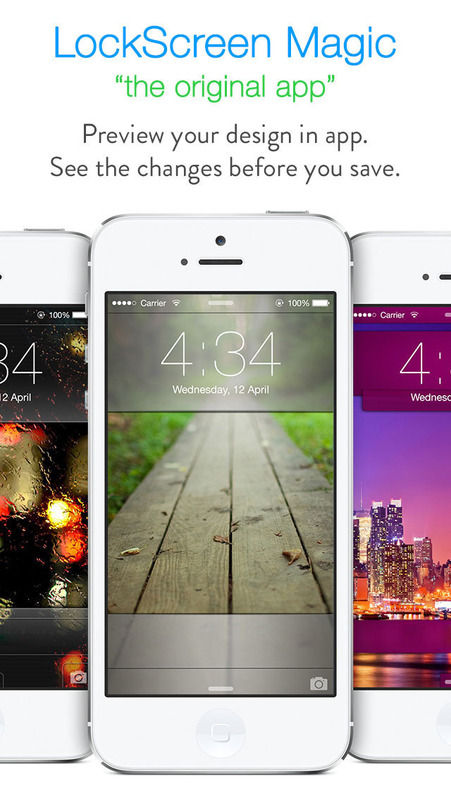 LockScreen Magic for iOS8 customization app is finally here! 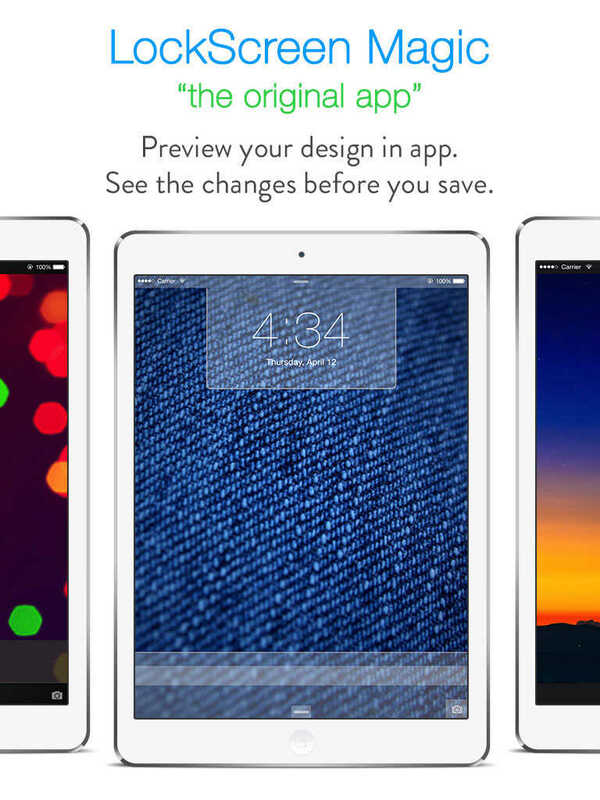 First original app to create custom designs for your lockscreen's wallpaper. Specifically for iOS8 and iOS7 devices! 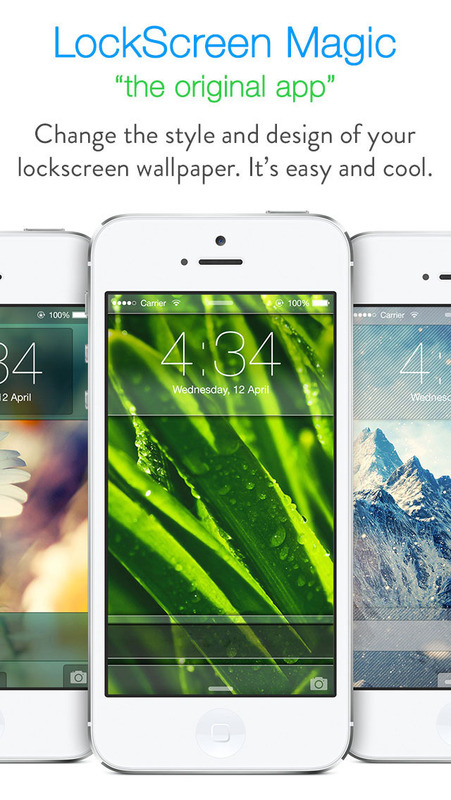 With a help of LockScreen Magic for iOS8 you can make custom wallpapers that will help you achieve an effect of stylised lock screen. You can use your own pictures/images or can choose a wallpaper from our massive collection. There are tens of colors and designs to apply to your new custom wallpaper. 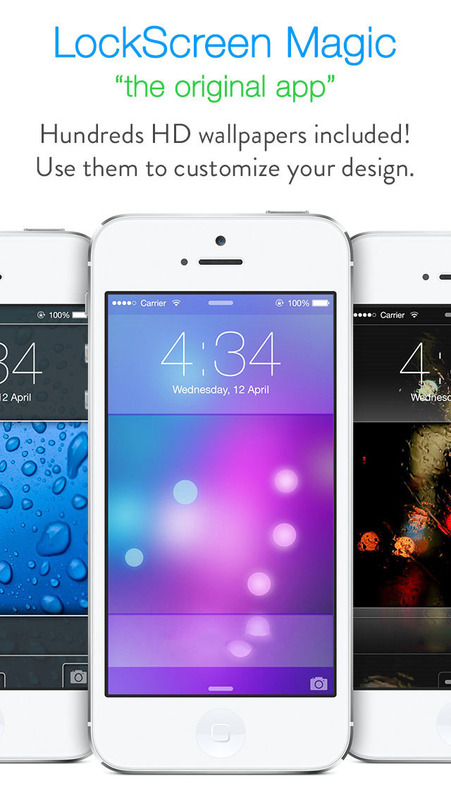 - Custom colorful wallpaper themes. - Retro, Classic and Modern designs. - Massive selection of Stunning HD Wallpapers. - Easy to use with on screen instructions. - Saves both original wallpaper and customized wallpaper so you can have both. 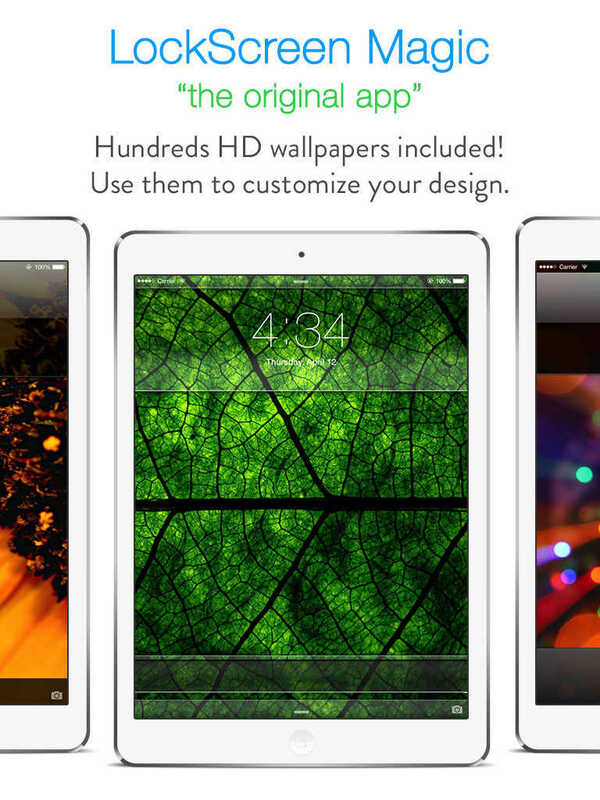 - Prepare your customized wallpaper with a custom design using the app. - Open SETTINGS on your device. - TAP on Perspective Zoom On -> TURN IT OFF. - Pinch image with 2 fingers to ZOOM it OUT. - Select the photo BEFORE LAST. Due to the fact that wallpapers on iPad are dynamic, the created wallpaper with custom design works best in portrait orientation.